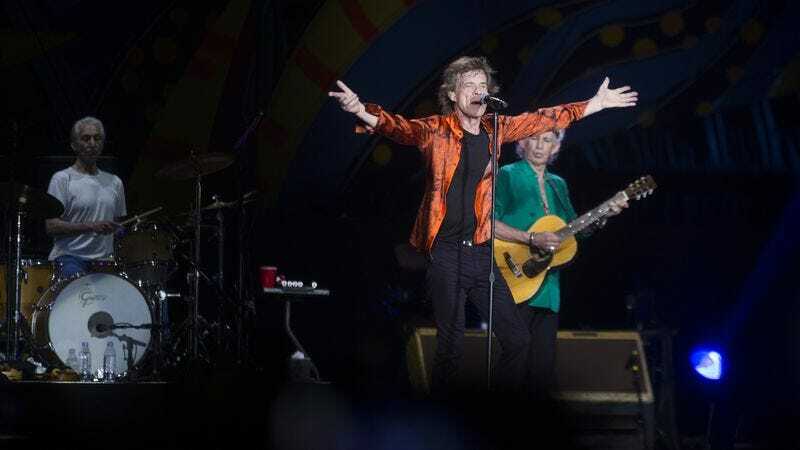 Back in March, The Rolling Stones became the first major international rock band to play in Cuba in decades, performing a free concert in the island nation on March 25. Fans interested in the history-making show—but who didn’t manage to be in Havana that night—are in luck, though: the band has announced that it’s putting out a concert film and live album of the set (in addition to an already announced documentary about their wider Latin America tour). That’s per Consequence Of Sound, which says Havana Moon will be out—in a number of Blu-Ray, DVD, CD, digital and vinyl combinations—on November 11. The 13-song set list essentially acts as a live greatest hits compilation for the band, with the Stones playing “Jumping Jack Flash,” “Paint It Black,” “Satisfaction,” and more of their biggest songs, all for an audience of people who haven’t had a (legal) way to hear them for almost 50 years. You can see the full track list for the album below.